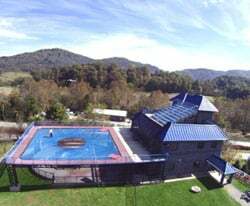 Since the beginning of vertical wind tunnels, the technology involved has taken large steps forward making indoor skydiving an enjoyable and safe sport. 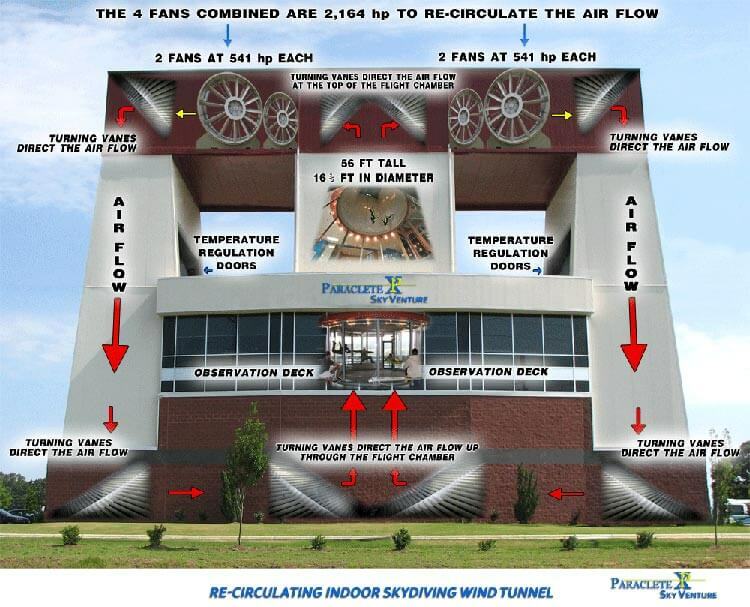 This article covers the basic big picture concepts behind modern wind tunnels. The list starts with older technology and moves on to newer and now common technology. 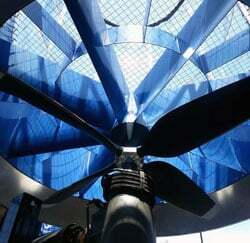 Vertical wind tunnel flying has it's roots in propeller below flying systems. Many of the earliest tunnels used a propeller below system for the simplicity and low cost. The basic idea behind the propeller below system is a large prop spinning below a net creating a vertical wind flow after the propeller. Many tunnels of this type use loud engines like old DC3 airplane engines. 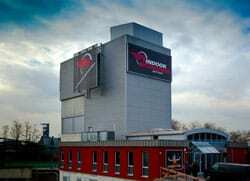 This system is the simplest vertical wind tunnel design, but comes with drawbacks. By flying on the air flow after the prop, you are flying in turbulent air. You are also exposed to the heat from outside/the engine powering the prop. Propeller above tunnels employ the same concept of using a prop to move wind, but instead of placing the chamber after a single prop in relation to the airflow, the chamber comes before the prop. This could also be described as the air being pulled through the flight chamber rather than pushed through. Open flow tunnels are similar in design to propeller above tunnels, except the utilize multiple engines at the top to pull air through the flight chamber. These tunnels are open to the elements and there are only a few in the world located in areas with temperate climates. Due to the multiple motor design, these tunnels can be powerful enough to supply a fast wind flow for free fly training, although not all active open flow tunnels are powerful. 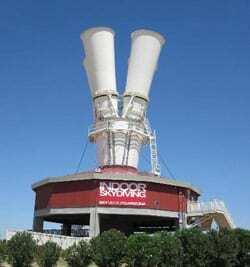 Recirculating wind tunnels are the latest in vertical wind tunnel designs. Recirculating tunnels have been around for over 10 years, and are considered to be the standard in modern wind tunnel design. The idea is using an enclosed system, the moving air is passed through a course which includes a flight chamber, turning vanes, and engines. This closed circuit has the advantage of keeping the outside elements from interfering with the airflow, but also had the downside of creating air friction causing the wind to heat up. This problem is remedied in a couple of different ways. One way being by adding louver doors to the air system, allowing a small amount of outside air to enter the recirculating airflow. Another way is by adding air conditioning which cools the air as it passes through the recirculating system. Recirculating tunnels come in two main designs. Either being a one sided recirculating tunnel or a two sided recirculating tunnel. This refers to the air splitting into one or two channels after it passes through the flight chamber. 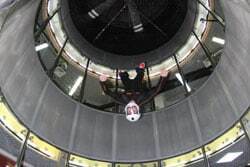 Generally speaking, SkyVenture/iFly and Strojirna Litvinov tunnels are two sided while Indoor Skydiving Germany (ISG) tunnels are one sided recirculating. There are other tunnels out there which have unique systems which may include one or more of the functional concepts above, or it may be something entirely unique.